We all love convenience. There is no doubt that Brandon is a great city offering a convenient lifestyle. Brandon provides exceptional health care and emergency services within minutes from your home. The addition of the 34th Street crossing will allow for a faster route to Victoria Avenue for added convenience. 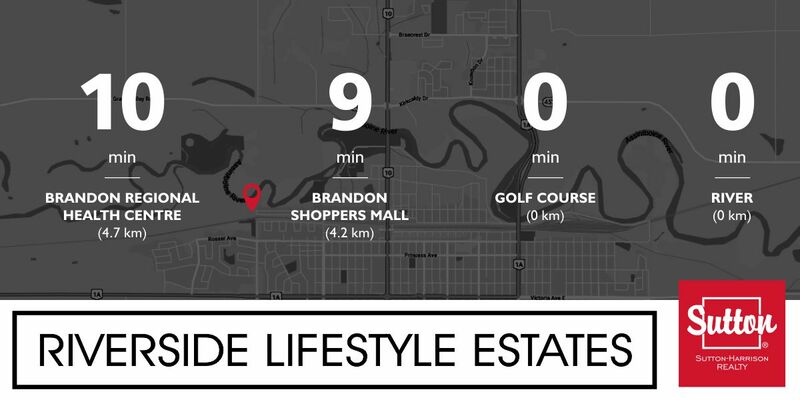 Riverside Lifestyle Estates, nestled along the Assiniboine River beside the Wheat City Golf course, offers many amenities close by; not just the ones at your doorstep! Imagine yourself riding your cart straight to the course or casting a line into the river after a hard days work; all without having to leave home-base. Now that's convenient!